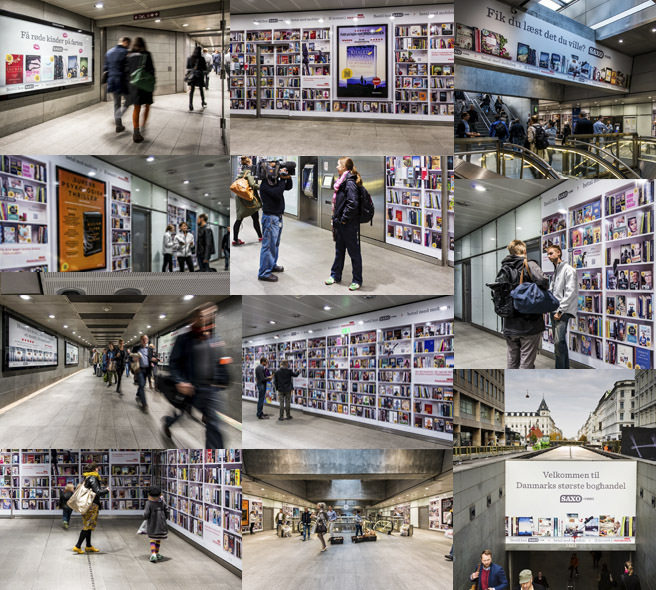 Here’s what AD180 have been helping with lately..
A 100-meter-long bookshelf met this morning subway passengers at Nørreport metro station and Frederiksberg metro station. The aim is to focus on the digitization of the book market. Nørreport Metro station is transformed into Danmarks largest bookshelf. Until the 31st of december 2013 passengers can explore among thousands of book titles on the 100 meter long bookshelf. All the books have QR-codes and passengers can in this way easily buy the books by using a smartphone.